Have you had a doubt on a road trip across town and suddenly realize that you have no idea where you're going. It happened to me, once I was all set to go. On halfway, I realized that I couldn't remember the streets. So, I spent a good half-hour meandering through the city before I found my destination. I could have avoided all this turmoil if I had mapped out my destination ahead of time. Running your business without a business plan is much like the above example. Many business owners work day to day doing the busy work on their business without working on the bigger picture and actions that will grow their business. This lack of focus on the future can be one of the biggest mistakes business owners make. I have collected 5 remarkable benefits to having a business plan. Through proper business planning, you will have the right direction, motivation, creativity, a cohesive strategy and getting results can help you get amazing success in your business. Business plans provide a roadmap to success. A map which shows you where to go and which Street to take to get and achieve your business goals. The research and brainstorming you will do when writing your plan will help you figure out where to go and will give you a direction to take your business. For example; many businesses operate without goals, imagine what it would be like to know what your goals are every day. How many new clients do you need? What products or services do you need to create? What sales level do you need to achieve to have a good quality of life? Knowing your goals will give you the right direction which you currently lack. 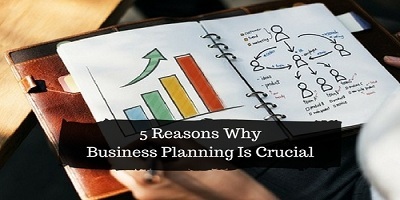 Business plans create motivation and it is one of the first steps you should take when writing your plan is to create a vision of where you would like to be 5 to 10 years in your business future. Creating your vision becomes motivational because it allows you to see the possibilities you can create for your business. For example; if you know that your grand scheme is to take your business international level, you will be cognizant the steps necessary to get there. You will focus on developing international relationships, learning the customs of other countries and brushing up on the language. Business plans written with a strong branding and marketing component will help you think creatively. Without creativity, your company is just one of the many in your field. By using a creative approach you can design a business that sets itself apart in the marketplace with a distinctive look. All too often, I see boring marketing messages presented in tacky ways. It's time to stand out in the crowd by getting creative and the well-crafted plan can help you do that. Business plans help you to create a cohesive strategy that takes into account all the parts of the business and how they relate to each. Other looking at the business in this manner encourages elimination of parts of the business that don't relate to the greater vision. Strategies are all about building a company over time. If you plan to build your business through your existing clients, then strategies around deepening those relationships through various channel cohesive strategy. A system for touching clients via phone calls, birthday cards, in-person meetings and asking for referrals, will move your company forward. Business plans help you get your job done by performing the necessary success actions delineated in the plan. You stay on track, it's easy to get lost in the day-to-day details. By reviewing the plan weekly the business owner is reminded to share your time to work on the newsletter to continue with a blog posting, to seek out public speaking engagements to work on passive revenue products. In short, focused action will lead you to success in your business.